Login here to access your student's grades, pay your lunch account, re-enroll for the next school year, change your pick up and drop off information, report your family's community service hours, and find the school directory. There is a special tuition credit that is NEW this year! 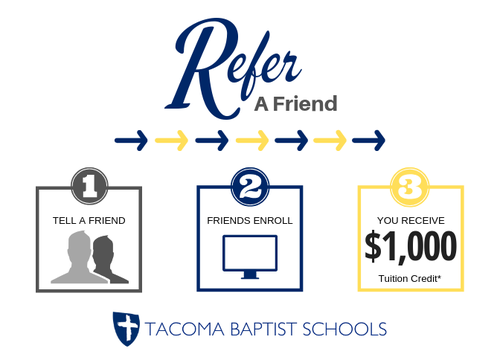 If you refer a friend and they enroll at TBS for 2019-2020 school year, your family receives a $1,000 credit towards your tuition! Click here to learn more or contact the front office for details.